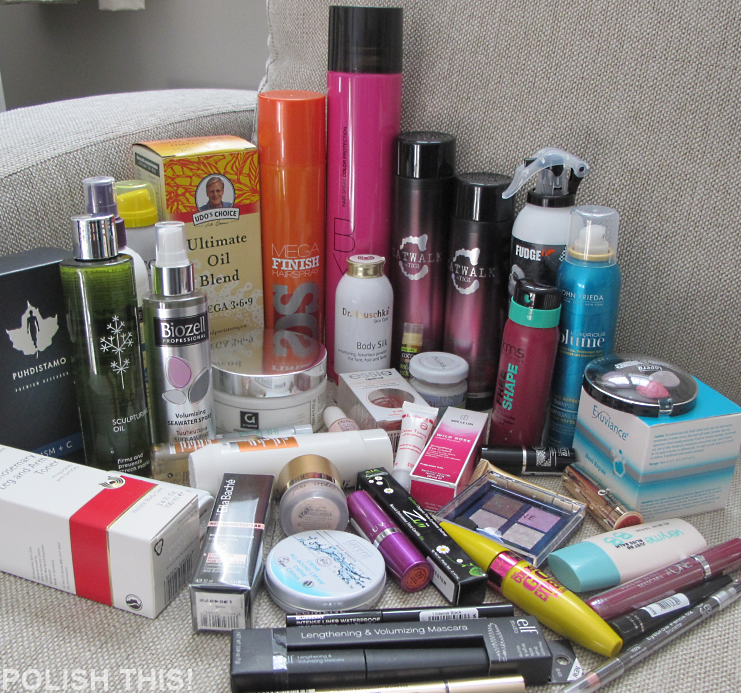 Beauty Bloggers' Get-Together - Polish This! 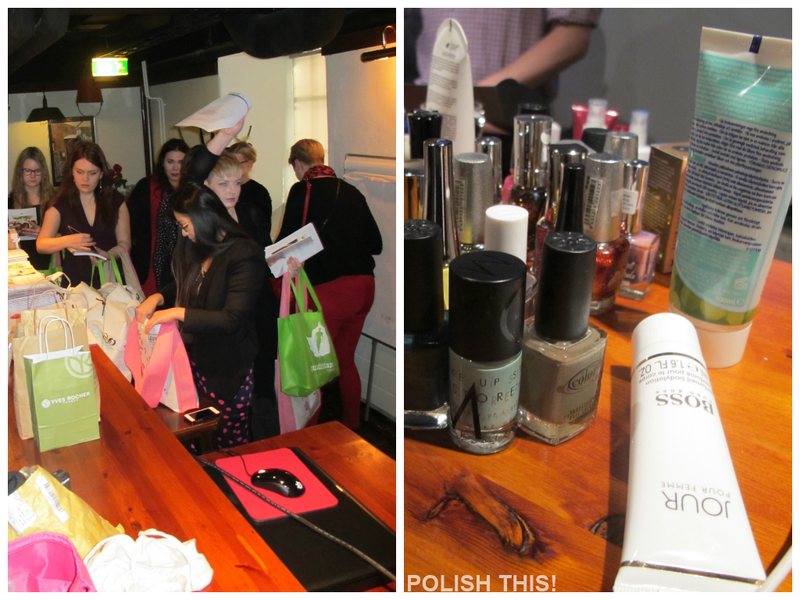 I had a really exciting day last saturday as I participated in a Finnish beauty bloggers' meet at Tampere. 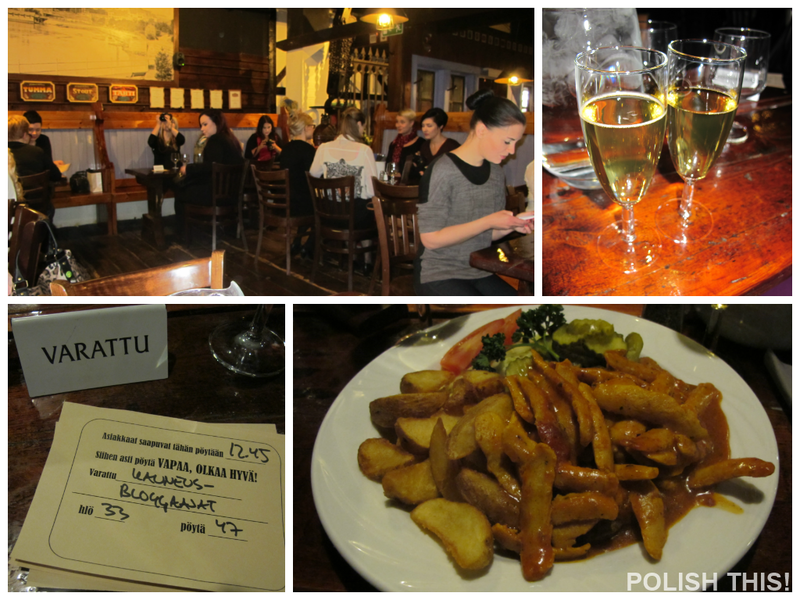 We met at a brewery restaurant called Plevna and there were total of 35 bbloggers at the event, so it was probably the biggest one that has been held here in Finland! It is always soooo great to meet new bloggers and also to get together with the familiar faces too. This time I hadn't met majority of the people before, so it was really great to see the people behind all the blogs. We started the meet with some delicious food. I had soy curry which was so yummy but also really hot and spicy. After we all had our tummies full we had a private room just for all of us where we could enjoy some very interesting beauty presentations. 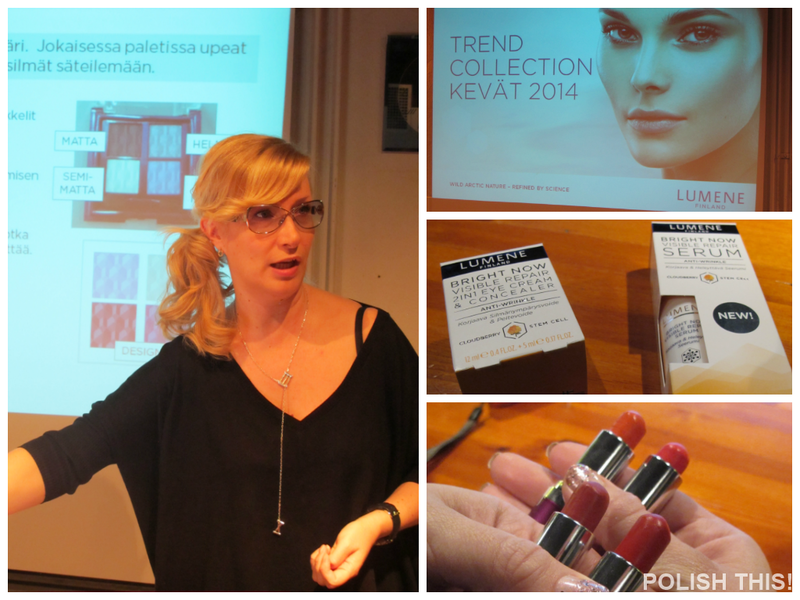 First we got an very intriguing beauty lecture by Tarja Gallacher from the Finnish beauty brand Lumene. She talked about Lumene's Bright Now Visible Repair line and also told us some interesting facts about their product research and development. 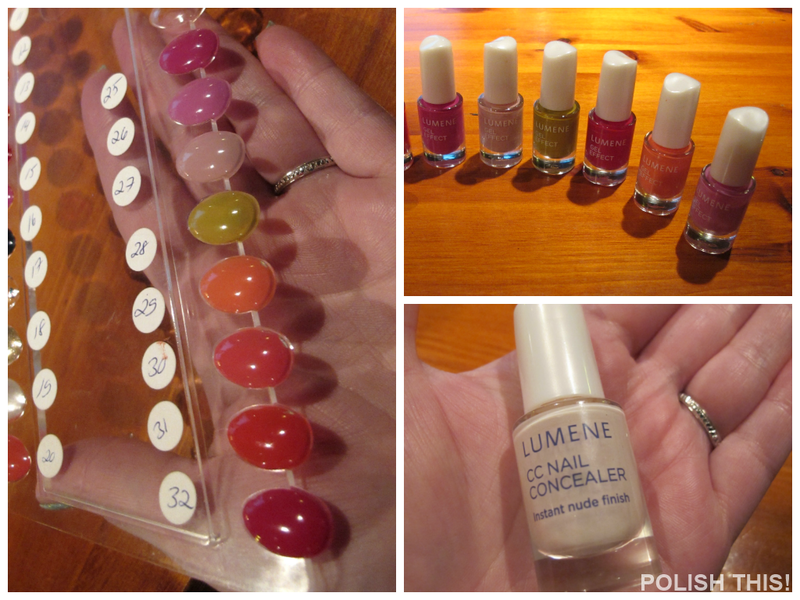 Lumene just renewed their nail polish line to this Gel Effect and color numbers from 25 to 32 are the new spring colors. Also they have this new nail product CC Nail Concealer which we also got in our goodie bags, so I'll do a review of that later for you guys! After Lumene we all got our huge goodie bags and we also did quite some swapping with each other as everyone had brought some spare products with them. 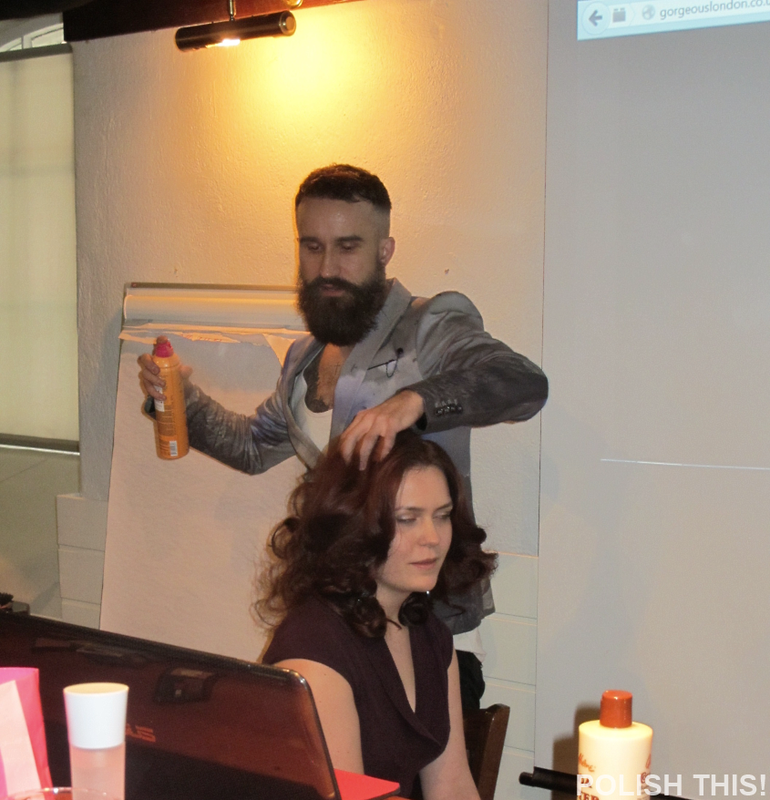 Then Mikko Vainio from Warehouse came to talk us about their brands Tigi, Fudge, Framesi and Gorgeous London. He also gave us a little hair demo by doing some huge curls for one lucky lady. Last but certainly not least Tiia Tyynysniemi and her little team came to tell us about the organic beauty brand Zuii. We got to see a demo of a brown smokey-eye make-up with Zuii products and hear more about the brand and the products. Tiia was really sweet and brought us even some roses as those are really important for the brand: one of the most important ingredient in their make-up products are flower petals. 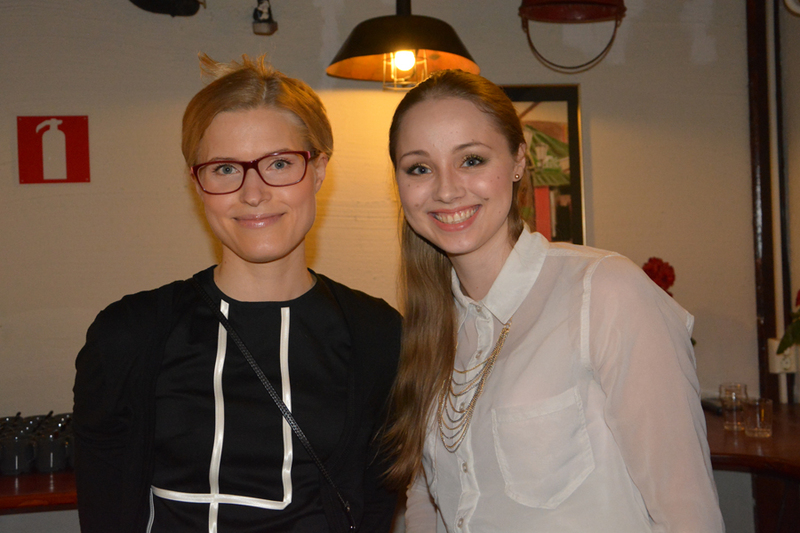 This get-together was hosted by these two lovely girls: Sanni from Karkkipäivä and Elisa from Miten niin liikaa?, so really huge thanks for both of them for organizing the event! And finally, here's what I got from my goodie bag! Amazing, right?! I will post about some of these products later as soon as I have had the chance to try them out. Big thanks to all the sponsors and of course all who came to give us the presentations too for my part! I have to say that I really had great time and it was so nice to meet all the people eventhough there were so many that I barely managed to even talk with just few of them. I loved all the presentations and they were really informative and interesting, and more importantly the athmosphere in the meet was so warm and bubbly the whole time. It was so amazing to get to be part of that!